Paul J. Karlstrom, art historian and author, is former West Coast Regional Director of the Smithsonian Institution’s Archives of American Art. His thirty-year career with the Smithsonian focused on documenting art in America, including conducting oral history interviews with artists. Mary Chomenko Hinckley is an American artist working in remarkably diverse media, including bronze, resin, glass and photography. The core of her art is a narrative of time, place, and the conflict between humans and the rest of creation. 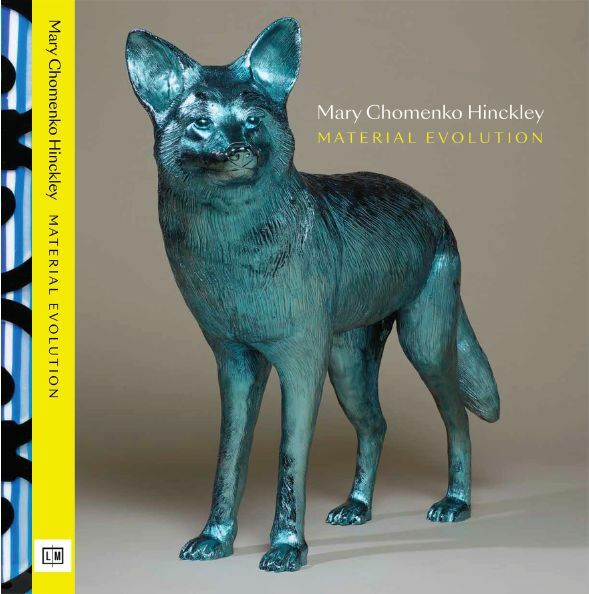 More than 130 of Hinckley’s beautiful and thought-provoking works appear in MARY CHOMENKO HINCKLEY: MATERIAL EVOLUTION Hardcover, 208 pages, 130 images. The publication is produced in conjunction with the exhibition, Mary Chomenko Hinckley. Material Evolution: Paper, Paint, Patina, at Augen Gallery, 716 NW Davis Street, Portland, Oregon, October 3–27, 2018.